An Arlington school is inspiring students in a unique way. Mary Moore Elementary School in Arlington is uplifting students in a unique way. 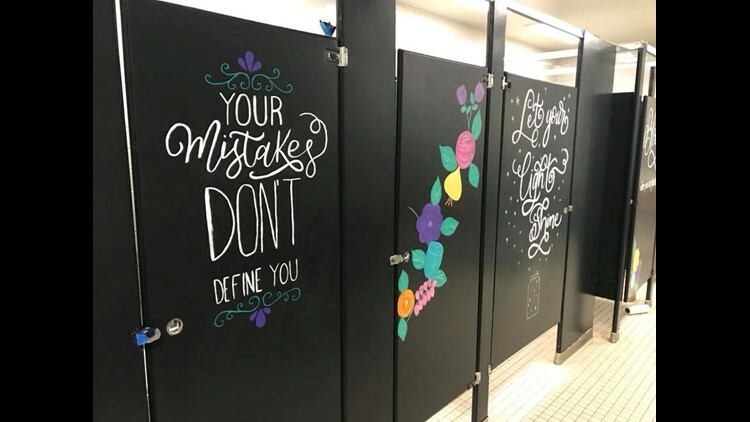 Parents at the school got together and painted inspiring messages onto bathroom stalls. Messages like, "Your mistakes don't define you" and "Bloom where you are planted" drape the stalls in artsy fonts along with floral murals. The post on the school's Facebook page has been shared over 150,000 thousand times and users soaked up all the positive vibes.